A.L. Oliver, B.N. Anderson, and F.A. Roddick, Factors Affecting the Production of L-Phenylacetylcarbinol by Yeast--A Case Study. G.M. Gadd, Fungal Production of Citric and Oxalic Acid: Importance in Metal Speciation, Physiology, and Biogeochemical Processes. M.R. Barer and C.R. Harwood, Bacterial Viability and Culturability. J. Stock and T.W. Grebe, The Histidine Protein Kinase Superfamily. J.P. Armitage, Bacterial Tactic Responses. R.M. Berry and J.P. Armitage, The Bacterial Flagellar Motor. Subject Index. Author Index. 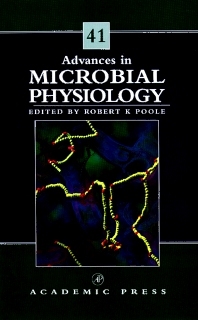 This volume contains advances in microbial physiology, particularly: factors affecting the production of l-phenylacetylcarbinol by yeast. Microbiologists, biochemists, and biotechnologists. Researchers interested in physiology, microbial biochemistry, and its applications.